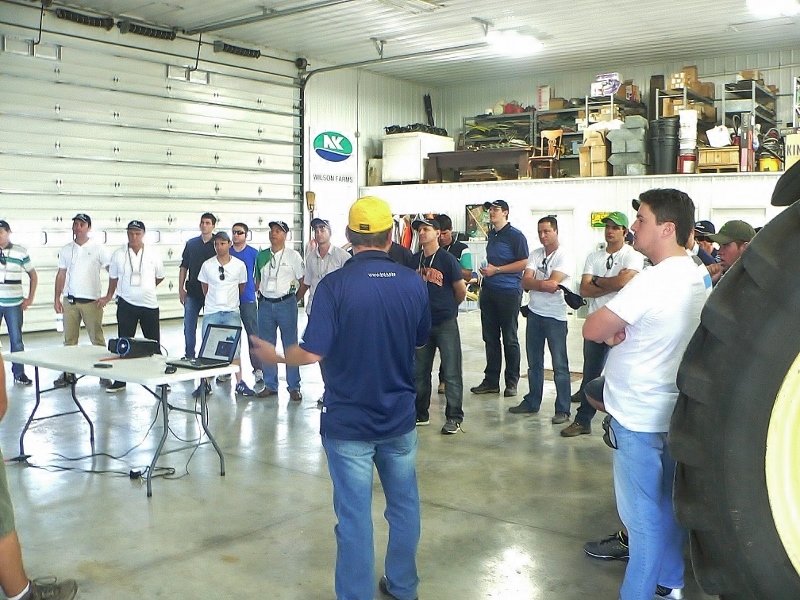 Yesterday we had the opportunity to host another group of farmers visiting from Brazil. They were here for the week to see Illinois agriculture and attend the Farm Progress Show in Decatur. It is always interesting to learn how our experiences farming in the U.S. compare to those from other parts of the world. 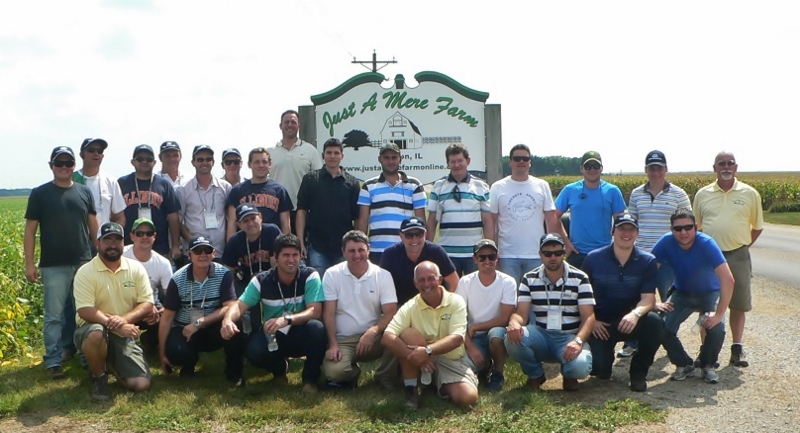 Farm sizes in the group varied from 1000-15000 acres. They were primarily growing corn and soybeans, but some also grew edible beans on contract. Modern machinery was the norm for them but they were most inquisitive about our agronomic practices and the technology we used.